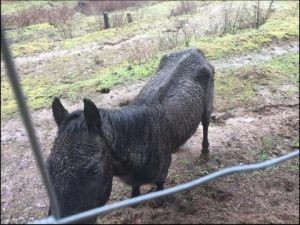 Hillsboro, Oregon – On January 22nd the Animal Legal Defense Fund, the nation’s preeminent legal advocacy organization for animals, appealed an Oregon state court’s dismissal of a lawsuit filed by a horse named Justice against his abuser. Justice’s lawsuit seeks to recover the costs of his ongoing medical care and his pain and suffering caused by the abuse. Las Luminarias is an annual festival in San Bartolome de Pinares, Spain. During the nighttime event, multiple huge bonfires are lit throughout the town. The smoke is thick and engulfing, and the embers naturally spark and sail into the air. Participants douse their horses with water, and then ride them directly through the raging flames of multiple bonfires. Ironically, the tradition is supposed to purify the horse for the coming year, preventing illness or injury. But the flying embers singe fur and skin, fear and pain could easily cause a horse to misstep and come to harm, and inhaling the heavy smoke can damage their lungs. Though the mayor of San Bartolome claims that the horses “don’t suffer anything at all,” their fear is obvious from the festival photographs. Even if the horses make it through the festival physically unscathed, they experience intense terror when forced to jump through the flames. That terror is ignored as the rider steers the horse to the next fire. Forcing a frightened animal to leap through the flames to “protect” them for the year is a ridiculous superstition and a cruel tradition. Tell the mayor of San Bartolome to end the use of real bonfires during Las Luminarias. If they must continue this tradition, stop terrorizing the horses and use symbolic fire instead. 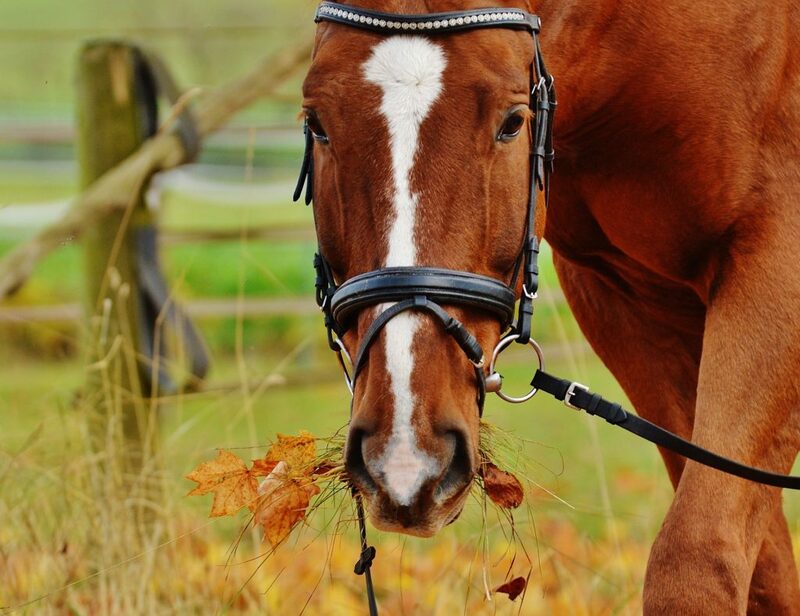 Sign now to protect the health and welfare of innocent horses! The longstanding tradition of Las Luminarias is marred by the cruelty of riding horses through the bonfires lit throughout town. Horses are frightened by fire, and forcing them to leap through the flames is clear animal abuse. These horses experience psychological trauma directly caused by forcing them to leap through raging bonfires. Las Luminarias needs to be changed to reflect modern times. A cruelty-free festival could easily be accomplished by simply using symbolic fire that doesn’t frighten and singe the horses. I understand the festival has taken place for 500 years, but the world has progressed, and so should the town. Forcing a horse who is fearful of fire to leap through it for a festival, and exposing their lungs to smoke inhalation and their skin to burns from flying embers, is unacceptable. No tradition is worth harming a fellow creature. Please make the right decision and protect the welfare of the horses in your town. (Informal short update on the legal fight against mine approval). Reading list at the bottom of the page. This summer many of you remember the way we found out about the Canadian Fiore Gold project? It was a bit of a shock after BLM announced an “emergency” that would afford absolutely no transparency of the removal of wild horses in a subset population of Pancake. Another horse became the latest victim of the cruelty endured by animals that are forced to work and pull carriages in NYC. The heartbreaking incident took place yesterday when a distressed horse fell on a busy downtown street in New York City while pulling a carriage. This incident has animal advocates around the world outraged. As per the organization, the exploitation of these carriage horses includes being forced to work through brutal conditions during snowstorms, torrential downpour, and heatwaves. Birnkrant also pointed to the death of two horses last month who died of colic in their tiny stables where they lacked any access to pasture or turnout areas as another indicator of the need to pass legislation to help other animals who are tragically kept in unacceptable conditions. NYCLASS, which stands for New Yorkers for Clean, Livable, and Safe Streets, was founded a decade ago to save NYC carriage horses, enact animal rights legislation into law, and elect pro-animal candidates to office. Currently, the nonprofit organization is working on a new bill that will keep carriage horses out of the chaotic Times Square, Rockefeller Center, and Lincoln Square. It will also guarantee them a safe retirement, increase stall sizes, and many other commonsense reforms that will drastically improve their conditions. There seems to be confusion and controversy brewing around the Ontario Society for the Prevention of Cruelty to Animals (OSPCA). Per the Canadian Press Service, the local animal welfare agency has stated that it needs to restructure, beginning with stopping investigations into animal cruelty cases involving farm animals and horses. Lack of funding and years of financial losses are reportedly the reasons for OSPCA’s controversial need to restructure. The organization wants to shift the investigations to the Ontario Ministry of Agriculture, Food and Rural Affairs. OSPCA is also tasked with maintaining animal cruelty coverage of First Nations, an indigenous American Indian community in Canada, as well as Northern Ontario. WAN contacted Melissa Kosowan of the OSPCA communications department to try to gain some clarity on the situation. “The Ontario SPCA would like to assure the public that we continue to investigate animal welfare concerns relating to livestock and horses. In addition to the charitable programs the Society provides for the welfare of animals, the Ontario SPCA and Humane Society is under contract by the Province of Ontario to enforce provincial animal welfare legislation. The Society is here to serve animals and we want to do what’s in their best interest. To do that, we need to consider adjustments to provide the best possible protection of animals within funding provided by the Government of Ontario. One consideration includes restructuring our role in cases that occur with large animals in rural areas. Our hope is to become a supporting agency to the Ontario Ministry of Agriculture, Food and Rural Affairs (OMAFRA) to provide urgent and ongoing care to animals while Ministry personnel focus on enforcing government legislation. While Roney has had his own issues with the OSPCA taking away the Ottawa Humane Society’s powers to investigate animal cruelty in 2016, his current concerns regarding this situation seem to be valid. Horses are whipped, kicked and terrorized at the “Drunken Horse Festival” in Japan. Horses should not have to suffer for such a barbaric tradition. Sign this petition to demand an end to the Drunken Horse Festival. The city of New York has been experiencing a heatwave in recent weeks. So much so that the city took the rare step of issuing a heat advisory, warning New Yorkers of the dangers of the scorching hot summer sun and providing tips on how to avoid overheating. But while the two-legged residents can decide whether or not they want to brave the heat, many of NYC’s four-legged citizens don’t have that luxury. What’s worse is that the video was taken early in the morning, before 10 am, meaning that the horse likely had to work for several more hours and it wasn’t even the hottest part of the day yet. Indeed the heat advisory recommended that, on hot days, people should work out before 7 am and walk their pets in the early mornings or late evenings. Unfortunately, this horse’s owner ignored the message. Sadly, NYC is one of many American cities that still allow the wholly unnecessary and completely inhumane practice of horse carriage rides to persist in spite of protests. Throughout the country, from Charlotte to Cleveland, horses are forced to pull tourists — sometimes through harsh weather like the recent heat wave in NYC — all the while unaware the real cost to the horse. This practice needs to end today. NYC Mayor Bill de Blasio should take action now and end this antiquated industry. Sign the petition and say no more carriage cruelty. Petition: Stop Starving the Oostvaardersplassen Animals! Oostvaardersplassen is a 56 square km park in The Netherlands that is home to an array of animals, including red deer, an ancient breed of cattle and wild horses. Those who run it have opted for a natural management, which basically means that nature is allowed to take its course. However, there are no predators and the only thing that limits population growth is food – being fenced in, the large herbivores have eaten all they can and in recent months they have been starving to death. Activists are trying to feed them anyway, risking jail sentences and heavy fines, by throwing bales of hay over the fence: they can’t bear to see the emaciated horses dying before their eyes. We believe that if Oostvaardersplassen park must mimic nature, then all variables should be provided: predators and the possibility to migrate in search of food. Seeing as this isn’t possible, the animals present should be treated ethically and either culled or be fed. Not allowed to die of starvation! Petition: This Horse Camp Let Kids Paint on This Rescue Pony! An equestrain camp in Brazil allowed children to color and paint all over a poor horse. Apparently they thought it would be a fun and cute idea to encourage interaction between the children and the horse. It’s not fun or cute. It’s gross. Sign the petition to demand the camp ends the “activity” of kids coloring on animals. When teaching kids about animals, it’s so important to teach them that they are living beings who deserve respect and good treatment. Coloring all over them does not send that message. Not to mention the horse must have been so stressed out with the kids doing this. The camp clarified that the pigments used were non-toxic, which is great. But letting kids color a horse still sends the wrong message. If the camp wants to expose kids to horses, great! They could teach the kids to brush the horses, ride them and feed them. They could teach the kids that horses take care and love and responsibility. Not that they are play objects like a piece of paper. Please sign on to the petition to demand the camp ends this horrible activity! Two horses allegedly died of starvation in an unfortunate case of animal cruelty. 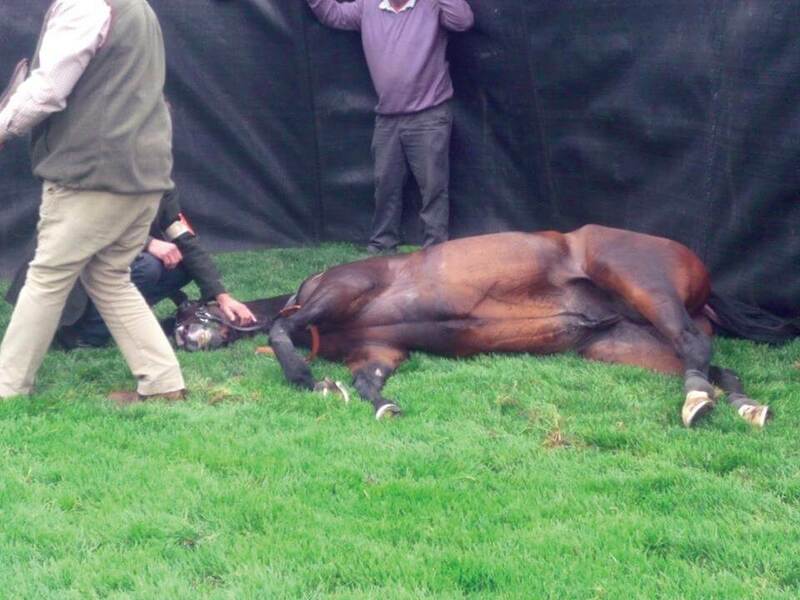 One surviving horse reportedly ingested large amounts of dirt and wood due to overwhelming hunger. Demand justice for these poor horses. The City of Montreal has announced the adoption of a by-law prohibiting the use of horse-drawn carriages on its territory. Unfortunately, the new by-law will not come into effect until December 31, 2019. Carriage horses are often forced to work nine or more hours per day, seven days a week, are subject to potential collisions with vehicles, loud noises that can spook them and also endanger humans in their vicinity, extreme temperatures and years of walking on unnaturally hard surfaces, which often causes lameness. The phase-out period would allow the City of Montreal to work with horse owners, the Montreal SPCA, and horse rescues and sanctuaries to place all the horses in homes adapted to their needs, where they will be able to live out a peaceful retirement. By putting an end to this antiquated and inhumane industry, Montreal will be following the lead of several other world-class cities, such as London, Paris, Beijing, and Toronto. I witnessed obvious animal cruelty in Fort Worth on June 2, 2018, at a popular tourist destination. It was 102 degrees with a heat index of 113 and there was a heat advisory. There were horses pulling carts full of tourists with no immediate access to water or adequate shade. The horses were not rested between tours, as far as I could tell. They were overheated, exhausted, and overworked. Fort Worth currently does not have any rules that protect the horses during temperature extremes. Obviously, we have very hot summers in North Texas. I want to ensure that the working animals (specifically horses pulling carriages) are treated humanely at all times but especially during temperature extremes. Several cities have recently placed regulations on the horse carriages including San Antonio, Charleston SC, Savannah GA, New York City, and Chicago. I’m not opposed to working animals and I’m not asking to have the carts banned indefinitely; I am respectfully requesting that the City of Fort Worth enact regulations to ensure working horses (and all animals) are treated humanely at all times. Fort Worth (and other North Texas cities) need regulations regarding temperature extremes immediately. At the very least, animals need immediate access to water at all times, adequate shade, and mandatory rest between tours. Let’s follow Savannah Georgia’s example and put policies in place to protect carriage horses in extreme weather. The pain of starvation is horrific. It is a prolonged suffering where death comes slowly with a myriad of painful symptoms throughout each stage of physical deterioration. Starvation is terrible, but to be starved out of apathy is morally abhorrent. For 169 horses at the army unit in South Africa, the nightmare of starvation was only too real. Sign the petition to demand the people responsible for this crime against living creatures are brought to justice. An initial loss of body fat is followed by muscle loss and atrophy and, ultimately, organ failure. In long-term starvation, degeneration of the liver, cardiac changes, anaemia, and skin lesions may develop. The brain, which relies on chemical signals to function properly, begins to deteriorate, along with the heart and other muscles. A coma follows soon after, and then death. The horses had no food, and had nothing to eat except soil and their own faeces. Food was only provided to the horses after the NSPCA forced the army unit into taking emergency action to secure adequate feed for the animals. Starvation wreaks havoc on an animal, and to put an animal through something that terrible is unquestionably evil, especially when you have the means to feed them, but just decide not to. Such was the state of these horses that twenty-five had to be euthanised, the others healthy enough to be relocated to another facility. The NSPCA said it had signed a memorandum of understanding with the SANDF in 2016 regarding the care of animals, but that the army had continually reneged on the agreement, showing that they are incapable of looking after animals, and should not be entrusted with any. General Solly Zacharia Shoke, the men under your command have shown they are incapable of looking after animals, and despite an agreement with the NSPCA your men have consistently failed to provide adequate care for these horses. Now twenty-five are dead, and the others will never be the same. We demand criminal charges be brought against those responsible. This is cruelty at its worst and we will not allow this to go unpunished. Sign this petition with me and let’s make sure this cruelty does not go unnoticed or unpunished. It’s a sad fact that for many horse trainers, torturous practices like soring are part of the job. Horse soring involves whipping, burning, shocking, or otherwise irritating a horse’s forelegs to get the animal to step higher when presenting in shows and auctions. Other horse trainers shove weights or shims between the hoof and the shoe. Some do both, while wrapping heavy chains around their horse’s caustic chemical coated legs. The barbaric practice has been condemned by government agencies as well as animal activists alike. And while the U.S. Department of Agriculture has been historically responsible for overseeing horse training operations at a federal level, and fining those found guilty of horse soring under the Horse Protection Act, recent decrees from the Trump Administration have severely restricted the Act’s efficacy. A strengthened Horse Protection Act was scheduled to be put into the Federal Register in January 2016, but a White House order on President Donald Trump’s first day in office brought it and many other regulations back for review. Through interviews with convicted horse abuser Barney Davis, the Humane Society has helped to expose the horrific popularity of soring among horse trainers. “Every trainer sores horses,” said Davis, who pled guilty to violating the Horse Protection Act on several counts in 2016. “You have to, to get them to walk…you’re not going to win if you don’t sore [horses].” Davis not only recounted the gruesome truth about soring — bloody forelegs and horses wailing in pain — he also indicated that judges and inspectors at many horse exhibitions are paid to look the other way. There is no excuse for horse soring to continue in the United States. The federal government and law enforcement has the authority to end this practice and protect our horses. Sign below and tell the USDA’s Animal and Plant Health Inspection Service that the Horse Protection Act needs to be strengthened and enforced. Inspectors from the National Council of SPCAs (NSPCA) were horrified to discover that horses in the care of the South African Army Special Infantry Capability (SAASIC) unit of the South African National Defence Force (SANDF) were starving to death. According to a statement released by the organization and a post on its Facebook page yesterday, “25 horses on the army base were in such emaciated condition or compromised state of health that to prevent further suffering they had to be euthanized. In 2013, the SANDF and NSPCA entered into a Memorandum of Understanding which was formally signed in May 2016, but the SANDF has continually reneged on the agreement, particularly the SAASIC Unit, with regards to their responsibilities to adequately care for the animals in their control. Their failure to secure suitably qualified personnel or adequate facilities, combined with a non-empathetic infrastructure that has repeatedly failed the animals in their care, has resulted in a complete breakdown in the welfare conditions afforded to the horses. The main herd had no food, the horses had no other option but to eat soil and their own feces. Food was only provided to the horses after the NSPCA forced the SAASIC unit into taking emergency action to secure adequate feed for the animals due to process restrictions. Further investigations revealed that prior to this inspection, the Military Veterinary Institute (MVI) had to step in and euthanize starving horses and treat others as a result of ongoing neglect. A further 169 horses are currently being kept on the Potchefstroom property in the North West Province which is overstocked, has inadequate shelter, and is a hazardous environment for these animals. The NSPCA will be laying criminal charges against the persons responsible for the suffering of these horses. The NSPCA is an organization which struggles with funding and receives no assistance from the government, we rely on the public to continue the much-needed work that we do. The NSPCA will need to continually check on the remaining horses to ensure that they are being adequately cared for. This is a huge strain on already scarce resources that come from the generous public – these resources should not have to be spent on ensuring that the government upholds the law. Donations to the NSPCA can be made here. http://worldanimalnews.com/breaking-nspca-horrified-to-find-hundreds-of-horses-starving-to-death-on-south-african-military-base/! Petition: Justice for Cindy – Find the Abuser Who Threw Acid in Her Face! Why did someone throw acid in an Cindy the horse’s face? That is the question officials in Clowne, Derbyshire, United Kingdom are trying to answer after rescuers found her dumped on the side of the road. According to one animal rescuer, the poor 8-month-old foal had the “worst acid burns” they had ever seen, leaving her with skin peeling off her face and head. At the moment no one knows who committed this act of cruelty against Cindy, but what is known is that the person or persons isn’t just a danger to animals, but to people as well. There are plenty of studies that show an irrefutable link between violence against animals and and violence against people. Many of the world’s most heinous violent criminals got their start torturing or killing animals. We must demand that animal abusers like Cindy’s attacker are taken off the streets. Please sign the petition and let’s ask Clowne officials to do all they can to find Cindy’s abuser and prosecute them to the fullest extent of the law. Horses are subjected to bloody, barbaric cruelty in fights known as “derbies” in the Philippines, in which males are made to fight to the death and females are raped as the ‘prize.’ Fifteen horses die in these fights every year, and despite the best efforts of animal rights groups, the fights continue. Sign this petition to put a stop to this horrific violence in the Philippines. The 10-year-old gelding was euthanised after falling at the Canal Turn fence. Horse-drawn carriages are cruel to horses by forcing them to pull oversized loads, constantly breathe in noxious exhaust fumes and suffer from serious hoof ailments due to walking on hard pavement past the point of exhaustion – no matter how hot the weather is. The Tennessee Walking Horse is the ONLY equine breed in the World which shows TWO YEAR OLDS wearing approximately EIGHT POUND SHOES with CHAINS hitting the sensitive skin above the horse’s front hooves. We have over 25,000 signatures supporting the end of this. Let’s get to 50,000 signatures!!! Please Sign and Share With Everyone You Know. This man has decided to keep horses. Applied for European funding and received it. Yet he abandoned them on a high mountain, in 5 feet of snow, with no food or shelter, at least a couple of months ago. According to the volunteers who managed to reach the place on motor sleds yesterday, it was a mournful sight. At least 40 of the horses were dead, the rest bearly alive, buried in the snow, with eyes pecked out by birds of prey, and worse; not able to stand up or chew the food that was brought to them. My friends and I are going to make sure that charges are pressed but fear that it will result in just another slap on the wrist. And this is neither just nor acceptable. Sign and share, please! Your help is highly appreciated! Friends of the Horses, I don’t have good news today. Apparently, the government agency in charge of animal welfare, http://www.babh.government.bg/en/, refuses to seize the surviving horses. For lack of setting they say. Lack of common sense whatsoever I’d say, as volunteers and activists offer their help to organize both transport and shelter. What will happen to the horses when the perpetrator goes to prison! Please, keep sharing this cause! Change will have to happen! 2000 signatures and counting! Thank you all! An investigation is taking place. Though rumour has it that a prison sentence is not guaranteed. Please spend another minute and share our cause again. This petition may turn out to be the key to justice being served in this outrageous case. Petition: Demand Edmonton Airport stops supporting the shipment of horses to Japan for slaughter. Demand Edmonton Airport stops supporting the shipment of horses to Japan for slaughter. Insist that Edmonton stop allowing live horse shipments out of Edmonton International Airport EIA. They must make the ethical choice to not support live export! Edmonton Airport supports this industry by allowing Korean Airlines and other live shippers such as Nippon Air and Atlas Air to operate out of it’s facility. Edmonton Airport is complicit in this violent and unsavoury industry by making money from the take off and landing fees paid by these air cargo companies and airlines. Canadian Horse Defence Coalition has been working to expose the horse slaughter industry and the live shipment of horses to Japan from Canada. Work by animal advocates and investigators have been helpful in exposing this practice which is abhorrent and not supported by the majority of Canadians and other countries around the world. It has been revealed that the shipments occur out of Edmonton, Calgary and Winnipeg International Airports. What has also been revealed is the lack of adherence to shipping regulations put forth by the Canadian Food Inspection Agency (CFIA). Images and video footage captured at Calgary and Edmonton Airports fully support the allegations of non-compliance. Horses overcrowded in crates, crates that are often too small for the height of the horses and lack of food and water for many hours. The horses are permitted to be denied food and water for up to 36 hours within Canada and the time begins when they are loaded at the feed lot. Horses spend many hours in transit by truck and then in crates at the airport waiting to be loaded and then being loaded into the aircraft; shipments happen in all kinds of weather. Unfortunately, the Canadian regulations cease to be in effect when the horses leave Canada. Their confinement and lack of food and water can continue for much longer than the prescribed 36 hours as they face at least another 10 to 13 1/2 hours of flight time and add to that, ground transfer time in Japan. The Canadian government continues to do nothing about the infractions and is actually working to remove the regulations that have been put in place to protect these horses. Since horse slaughter is unfunded in the U.S.A. and has essentially ended there, horses from the racing, rodeo and pet trade as well as feral horses who have been sent to auction are purchased by kill buyers who ship them to Canada for the meat and live export trade. Canadian horses are also exploited and slaughtered in this industry. This is a lucrative, secretive industry worth upwards of 80 million dollars in Canada. Buyers in Japan purchase the animals, strongly preferring draft horses for a delicacy called basashi, thinly sliced raw horsemeat, eaten like sashimi. Our horses are being turned into a food fetish. Targets -Tom Ruth – EIA President and CEO, Traci Bednard – VPMarket Development, Myron Keehn – VP Commercial Development, Rob Malli – Strategy/Financial Officer, Maureen McCaw – Board of Directors Chair, Norm Richard – Director of Air Service Development, Alex Lowe – Mgr of Cargo Business Development. Last week, the lives of up to 60 wild horses in Arizona were threatened by a hunt to kill the “excess” feral animals in a local trophy hunting area. Fortunately, on March 1st, which was National Horse Protection Day, the planned massacre was canceled and the horses are safe for now. Navajo Nation President Russell Begaye acknowledged on Tuesday that while the growing population of feral horses on the Navajo Nation is a problem that has to be addressed, he determined it would not be resolved with a wild horse hunt. The president’s statement comes on the heels of a 2018 Horse Hunt Proclamation issued last week by the Navajo Department of Fish and Wildlife (DNR). Since that proclamation has been rescinded and the hunt will no longer take place, Fish and Wildlife now are working to pursue alternate methods of feral horse management. Sadly, some of their alternative approaches such as trapping, castration and birth control, sill equate to inhumane methods to many animal advocates. Adoptions of the feral horses is a much more welcome plan. The Navajo Nation Commission on Emergency Management on Monday approved a new State of Emergency Drought Declaration. The commission is anticipating large-scale drought conditions this summer, which will create a critical shortage of water and range feed for livestock, resulting in the poor physical condition of livestock and an increase in disease. Congress has less than a month until March 23rd to come up with a 2018 budget deal. That’s what the current Continuing Resolution keeping the government running expires. Congress will decide between house legislation that allows the BLM to destroy healthy wild horses and burros, and the senate version, which continues to prohibit killing and slaughter.